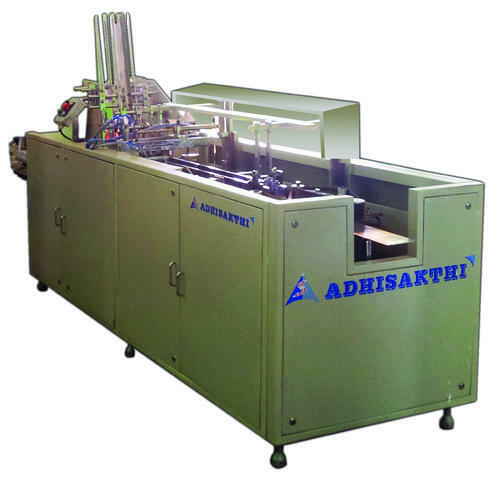 ADHISAKTHI is manufacturing a wide range of equipment for personal care division and pharma machinery division. Manufacturer of these products, we have invested towards the development of new technologies that are in tune with the international standards and regulations. This has assisted us to beef up our strength in the Personal Care Machinery Division and become one of the far-famed Personal Care Machinery Exporter from India. In the Pharma Machinery Division, we manufacture machinery for the processes of cream mixing, liquid mixing, powder ribbon blending, and powder filling. In the Personal Care Machinery Division, we manufacture machinery for the processes of case packing cartoning & secondary packaging, pouch filling, tablet counting, material handling, process automation, and batch weighing. All the machinery for pharma division and personal care division are offered in different capacities and for different, multiple applications. Speed of the machine is up to 70 pcs/ minutes. The machine is designed with Intermittent motion mechanism. Geneva Indexers or Ferguson Indexers are used. SS side covers with polycarbonate top covers and micro switch safety systems are provided. Hot melt glue dispensing and flap pasting mechanism. Automatic infeed link up mechanism. 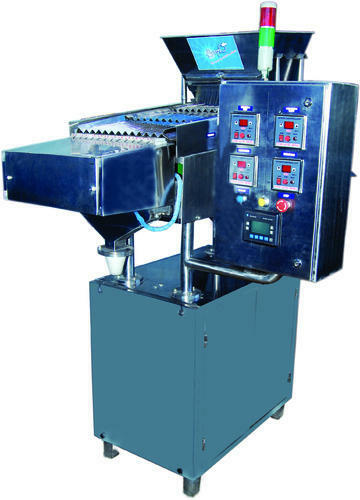 Speed of the machine Up to 70 pcs/ minutes. Power Consumption 1.5 KW and Air Consumption :100 LPM at 4 Bar Pr. Inclusive of PLC ,HMI, AC Variable speed drive with skip feed system for missing carton or leaflet without any change part. 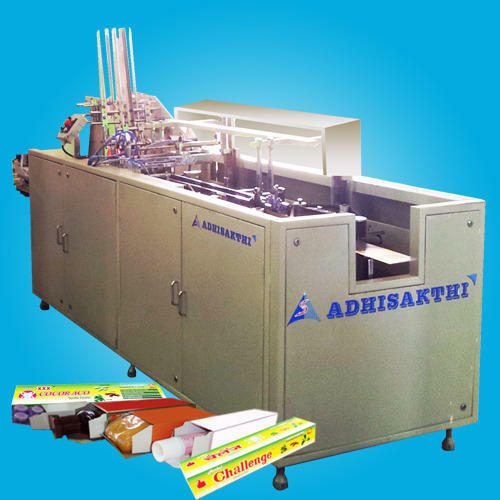 The cartooning machine is designed to automatically erect cartons, insert the products and close the flaps by tucking in or pasting suiting to the design of cartons. Products like Toothpaste, Creams, Soaps, Table strips, Bearings etc. can be packed. Hot melt glue dispensing and flap pasting mechanism.Automatic infeed link up mechanism.